Bill Melendez has passed away at the age of 91. He was an animator who began work at Disney, and then moved on to Warner Bros. But it was a 1959 meeting with cartoonist Charles M. Schulz that would propel Melendez to everlasting fame. The two became fast friends after Melendez was hired to work on a series of commercials featuring Schulz's Peanuts characters. And after that, Melendez was the only person that Schulz gave permission to animate Charlie Brown, Snoopy, Linus and the rest of the Peanuts gang. 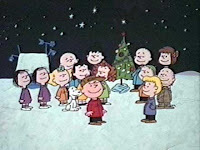 A few years later Melendez collaborated with Schulz to produce A Charlie Brown Christmas: forty years later it remains a seminal classic of the holiday season. In addition to the various Peanuts movies and television specials, Melendez also was involved with commercials using the characters (like this terrific spot for Regina vacuum cleaners featuring Pigpen: the only time he was ever depicted as clean!) and Melendez even contributed his voice for that of Snoopy. Apart from his Peanuts work, Melendez was involved with animated versions of the comic strip characters Garfield and Cathy. And he also was part of the production of the 1979 animated The Lion, The Witch, and the Wardrobe: to this day one of the most enchanting things that I ever saw on television. Melendez earned 19 Emmy nominations for his work, and won six awards.